Many companies, as time goes on, soon feel that they need to inject new life into their workforce. Business that have been around for years are beginning to move toward one trend in particular: open office floor plans. But is this really worth it for your business? This week, we’re providing a list of pros that might help you decide if an open floor plan is the right move for your office space! Communication and cooperation as team members increase when you break down the cubicle walls. It’s easy for a supervisor or team member to pass on an assignment or see how one another is doing this way. One of the downsides of using cubicles is that they’re difficult to work with if you need to shake things up. Need to hire more people? You’d better hope you have enough open desks to fit your hiring needs. However, in an open-office plan, it’s easy to rearrange depending on the numbers of your staff. An open-office plan can fit more employees as well, possibly making your work floor more cost-effective. You can also change around the setup should you need to alter a seating chart, move a team, or simply try something that works better. In general, open office plans look nicer than cubicle farms. By opting for this setup, you’ll introduce cleaner lines, better lighting, and the possibility for more color onto your work floor. There’s more room to breathe, which could be vital for a creative team. And, if your workspace allows it, you’ll allow your employees to be able to show their individuality to the entire office, rather than just to the walls of their cubicle. 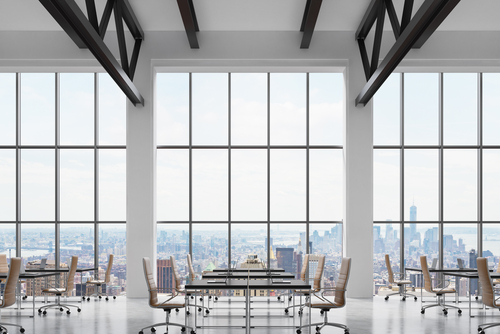 Do you think an open-office floor plan is perfect for you and your business? It might just be! Stay tuned for next week, when we will examine some of the drawbacks of an open-office plan!